Fried flat rice noodle, which is also known as Char Kway Teow , is considered a national dish in Malaysia and Singapore . 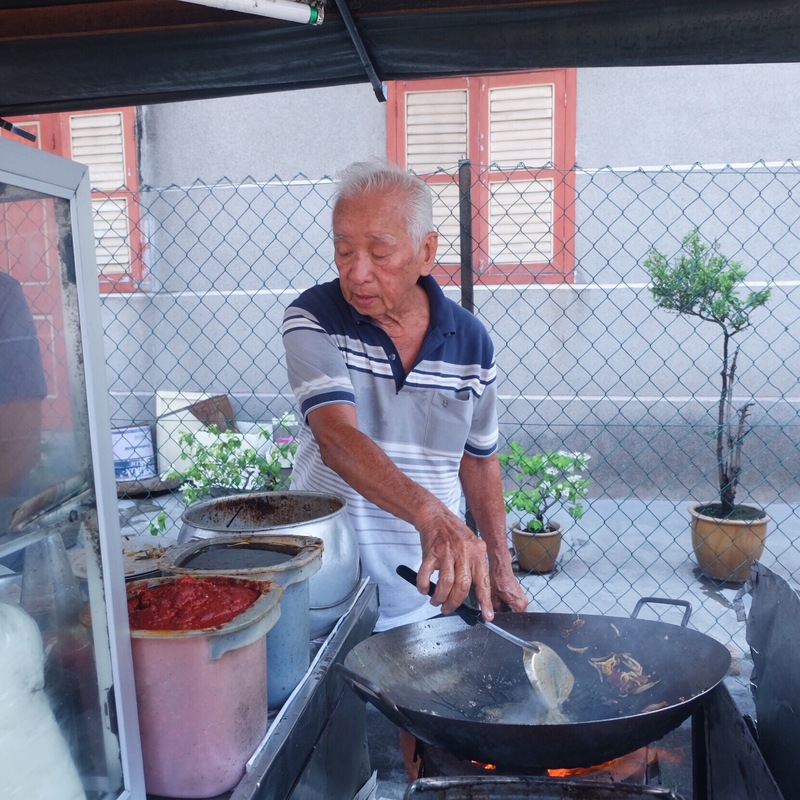 This delicious dish usually includes Kway teow, cockles , fish cakes and lup cheong but ingredients still varies among the stalls. 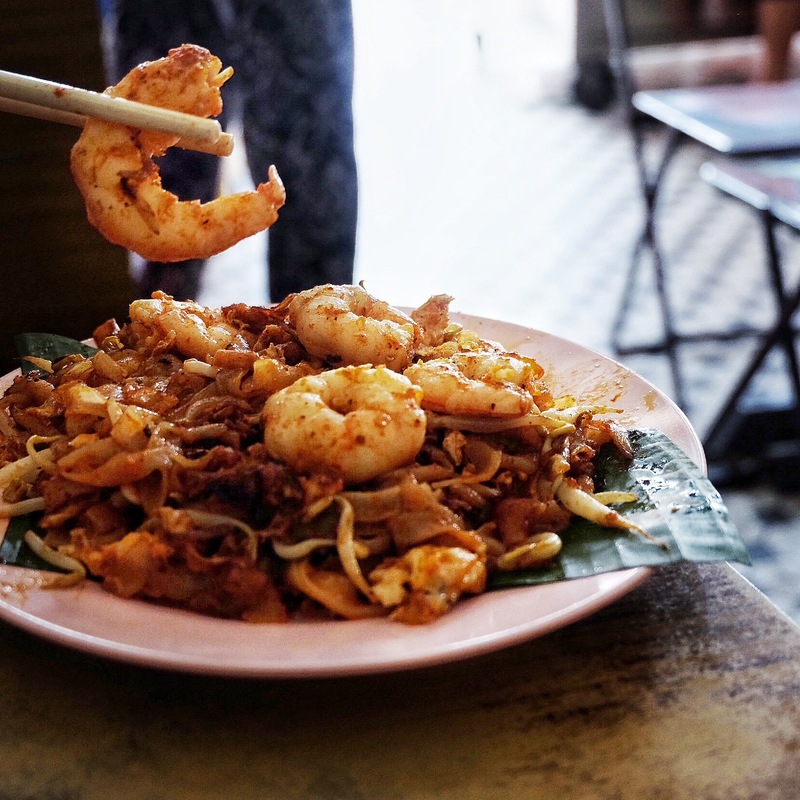 Being one of the top signature dishes in Penang , you must at least have a plate of Char Kway Teow in your belly before leaving this food heaven! 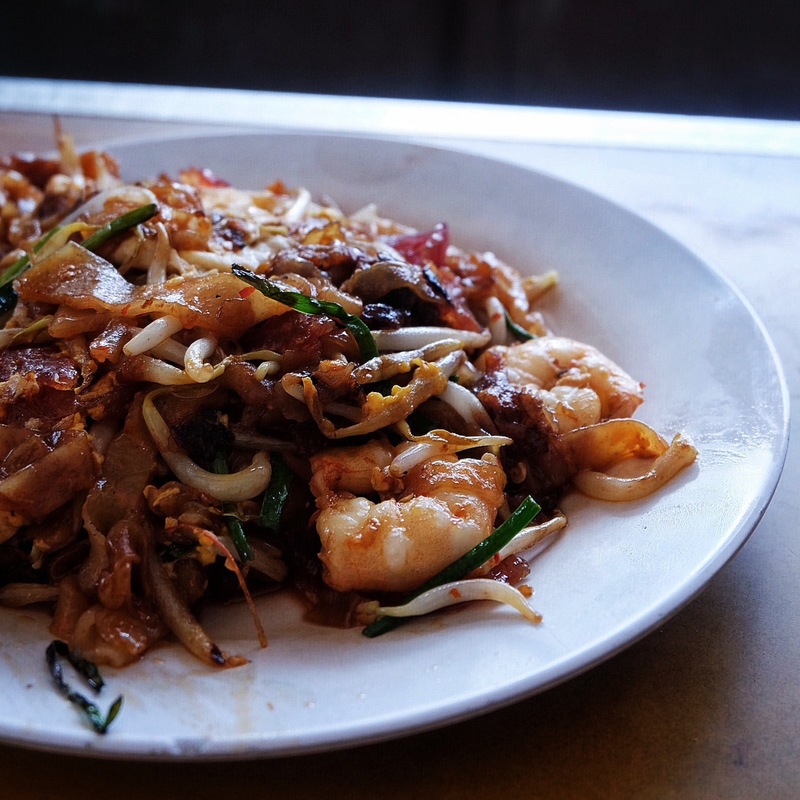 Located near the well known Kek Lok Si temple,Ah Leng Char Kway Teow (CKT) is definitely one of the must-try CKT in Penang. Why is the stall named Ah Leng? Yes you are right. The name of this friendly boss in frame ( as shown above) is called Ah Leng. I am so in love with this dish. Despite having a few meals before coming to Ah Leng CKT, I could empty the plate in no time. 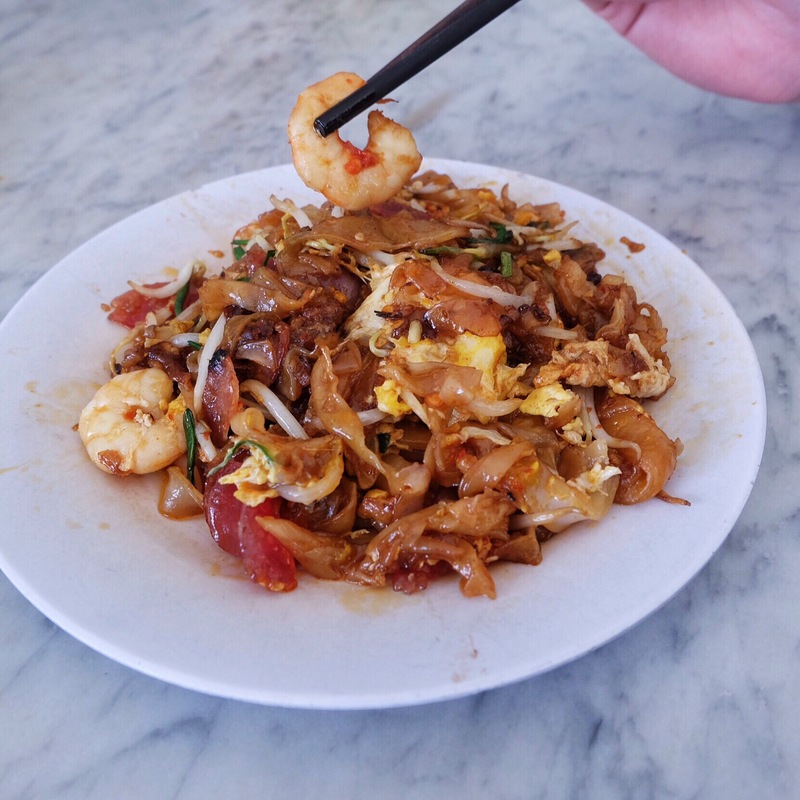 The taste of the duck egg was distinctive , prawns were fresh and what I love the most was the tasty prawn paste that was placed on top of the Kway Teow. Cockles would be better if it was not overcooked. If you are going there for the first time, I would recommend you to order special instead of regular. The next CKT that you probably can’t miss is this Tiger CKT. Huge serving at an affordable price are probably the reasons people return. They are also the only stall who wear uniform and that shows how much passion and commitment they have in their work. Tiger CKT is totally not stingy with the ingredients. Huge prawns and lots of Kway teow. It would be perfect if we could taste more of the duck egg though. Nonetheless, the fragrantly fried kway teow deserves a thumbs up! 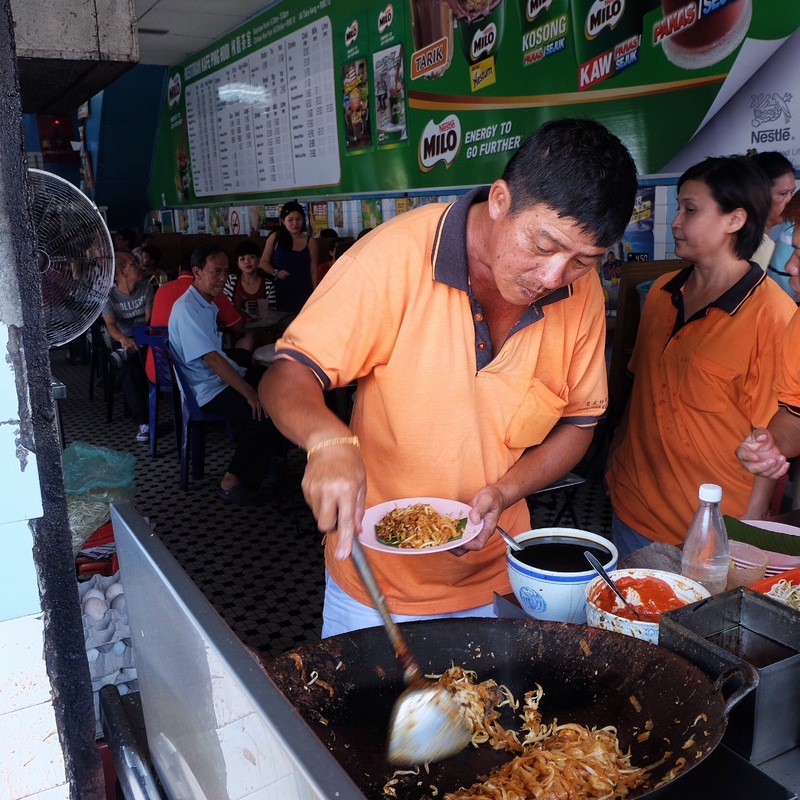 When we talk about Char Kway Teow(CKT) in Penang , Siam road CKT is always the first thing people raved about. Do not underestimate them just because they are having a push cart along the roadside. The queue is always long and people are just willing to stand under the hot sun for this plate of goodness. AND! No more standing under hot sun just to eat this CKT! 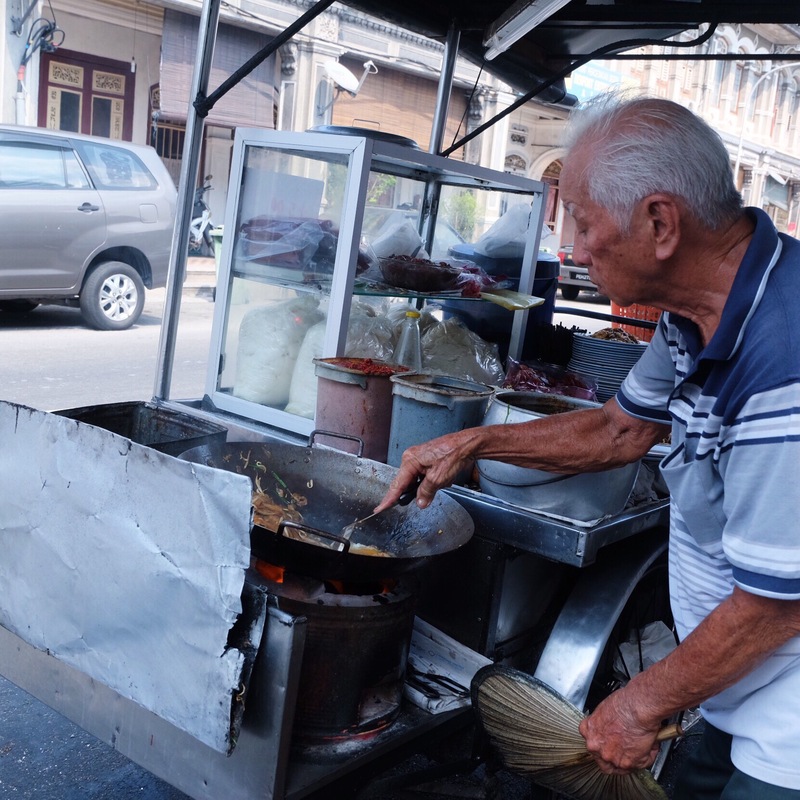 There is a coffee shop (Hock Ban Hin Cafe) opposite the push cart stall for you to dine in. Take note that the uncle may not reply you when you attempt to create a conversation with him. He is not rude for sure, just that he is focusing to deliver a plate of delicious CKT for his customers. So what are differences between this CKT stall and others? If you notice, charcoals are being used to fry kway teow! You definitely need a strong arm to control the fire with just a ancient leaf fan. 100% effort! Unlike other CKT stalls, Siam road CKT put in Lup cheong (chinese sausage) , cockles , normal egg, pork lard , bean sprouts, prawns and vegetables. This plate of CKT was indeed mouthwatering. You could actually taste the “wok hei” and the crispy pork lard just made this plate of CKT a perfect one. This is once again another plate of CKT that I could finish it no matter how full I am. Though the prawns may not be as big as compared to the other two as mentioned above, the quality of this CKT is really heavenly good. Worth the queue under hot sun? Absolutely YES!